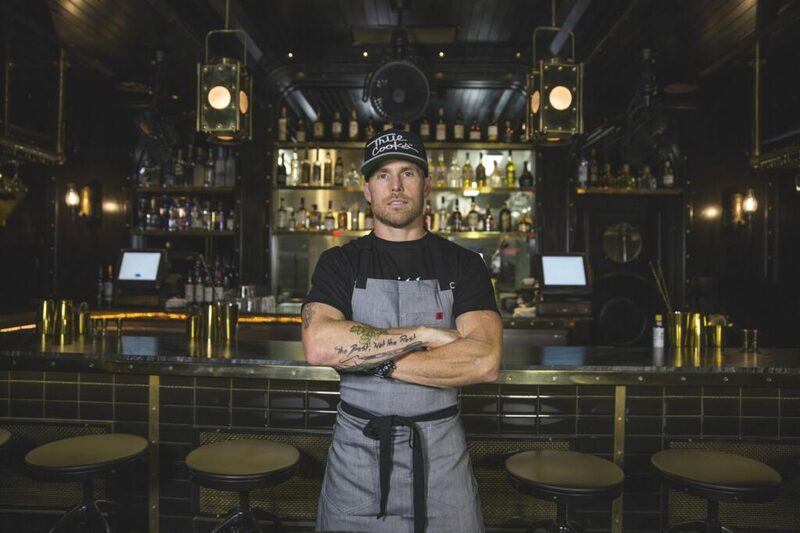 Etched into Chef Steve Brown’s forearm are the words “The Best, Not the Rest.” The other tattoos that ordain his body have meaning but this artwork is perhaps most emblematic of Brown’s state-of-mind today. He is committed to excellence and, on the heels of his announcement that he is opening Cosecha, a high-end restaurant in Coronado, his excitement and energy were palpable when we spoke. And, while it is clear that Brown is a master in juggling dozens of tasks at once (the nature of being a chef), I realized during our discussion that my time was limited and that the best way for a majority of this story to be told was in Brown’s own words. Cosecha means “Harvest” in Spanish, which makes sense since the restaurant will be what Brown calls a “Farm-Driven Modern American” concept, drawing on “beyond” organic produce along with the best protein available. To that end, a unique attribute of Brown’s Cosecha concept is that he has partnered with – and will receive all his fresh produce from – Wild Willow Farm, a non-profit farm school and education center located in the Tijuana River Valley. The day we spoke, Brown was at the farm planting potatoes for the opening of Cosecha next year.